This is the extraordinary Indian family born with 600 digits between them - with each of the 25 members boasting 12 fingers and 12 toes. 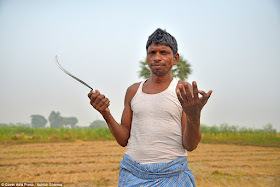 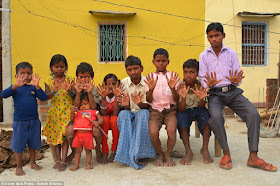 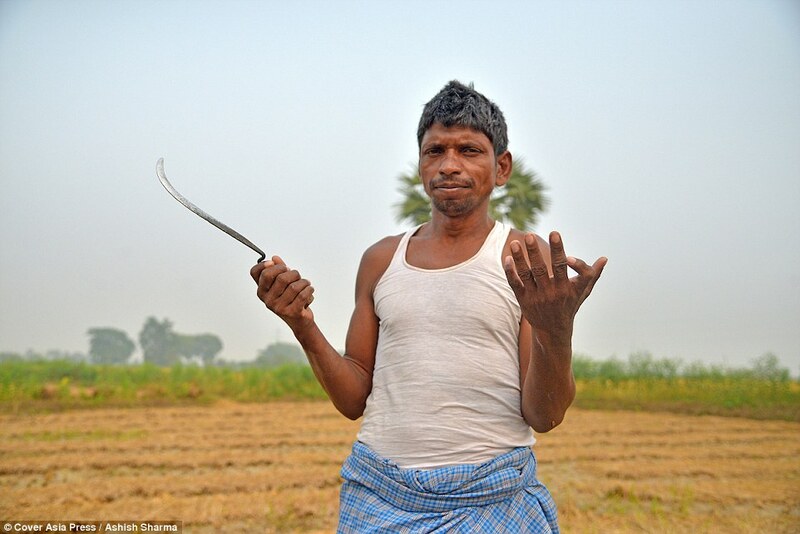 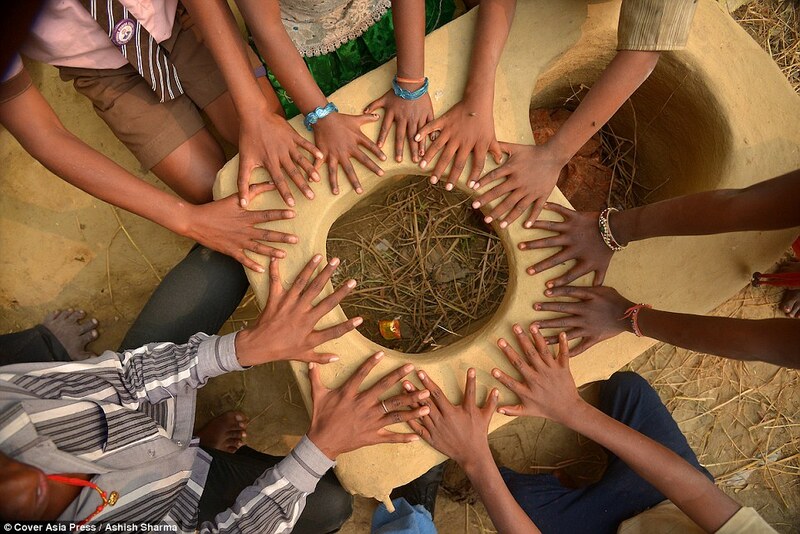 Krishna Choudhary, who lives in a small village in Gaya, in Bihar, northern India, has six fingers on each hand and six toes on each foot - just like his father and siblings. 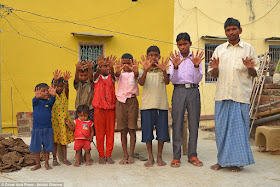 But the unusual condition has meant the 50-year-old has found it difficult to arrange his daughter's marriages - because prospective husbands dislike the condition. 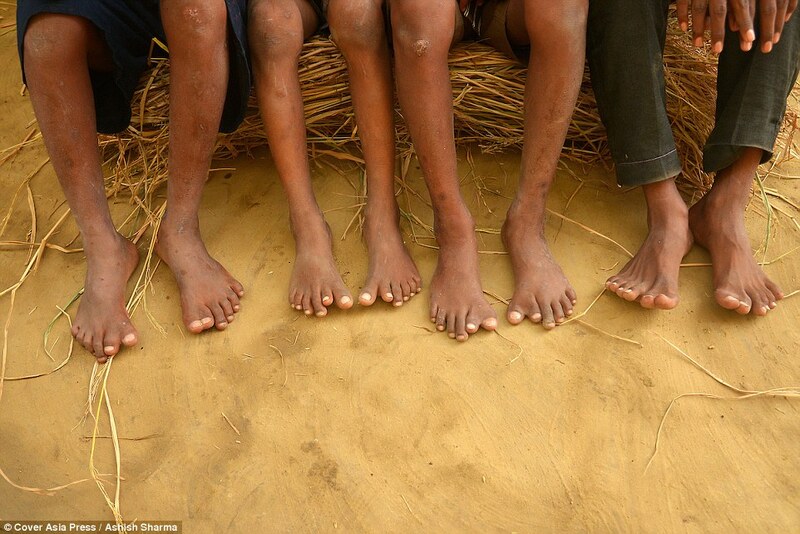 However, Krishna does admit it's difficult for him and his children to find footwear that are comfortable. 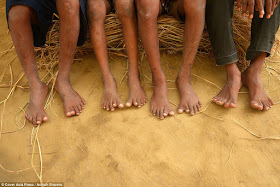 They are forced to always wear flip-flops.